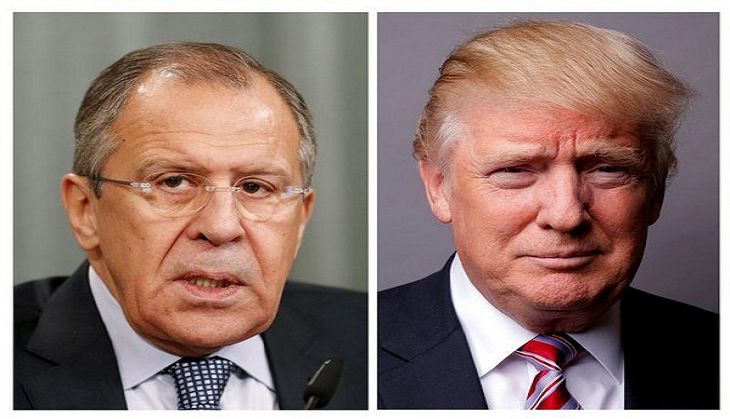 President Donald Trump will meet Russian Foreign Minister Sergey Lavrov in the Oval office on Wednesday. The meeting will take place at 10:30 am and will be strictly closed to press, according to the White House. Lavrov, who is on a working visit to the U.S. from May 9-to 11 will first meet with Secretary of State Rex Tillerson to discuss Ukraine, Syria and other bilateral issues, then proceed to his meeting with the President. The meetings between Tillerson and Lavrov, and now between Trump and the Russian foreign minister, come when FBI director James Comey has been fired by U.S. President. Comey had recently testified on Capitol Hill about FBI's investigation into Russian interference in the 2016 elections and links between Moscow and Trump campaign officials. However, the White House attributed Comey's dismissal to his handling of the investigation into Democratic nominee Hillary Clinton's email server, but Democrats drew parallels to Watergate-era firings. Even former Attorney General Sally Yates said she had alerted the White House that Ex- national security adviser Michael Flynn could be "essentially blackmailed by the Russians." Aimed at attempting to mend ties between Washington and Moscow over geopolitics, Russian President Vladimir Putin and Trump talked on phone Tuesday, discussing the prospects of cooperation and coordination on the issues of terrorism in Syria and the situation around North Korea, among other issues. The two leaders agreed to hold their first meeting during the G20 summit, which is scheduled to take place in Hamburg, Germany ,on July7 and 8. Sergey Lavrov will participate in the ministerial meeting of the Arctic Council in Fairbanks in Alaska.